Summer’s way behind us so it’s time to start packing on a few pounds for insulation through the colder winter months. 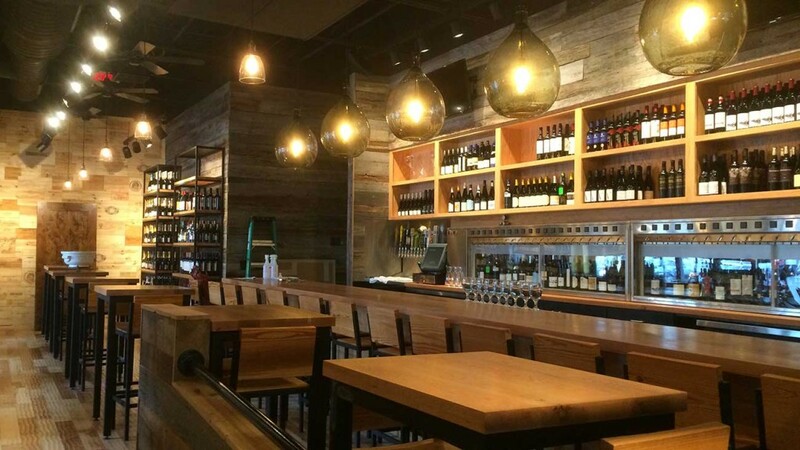 These over-the-top food challenges (at local and chain restaurants) will help you get your hibernation body in shape for the season one gut-busting meal at a time. 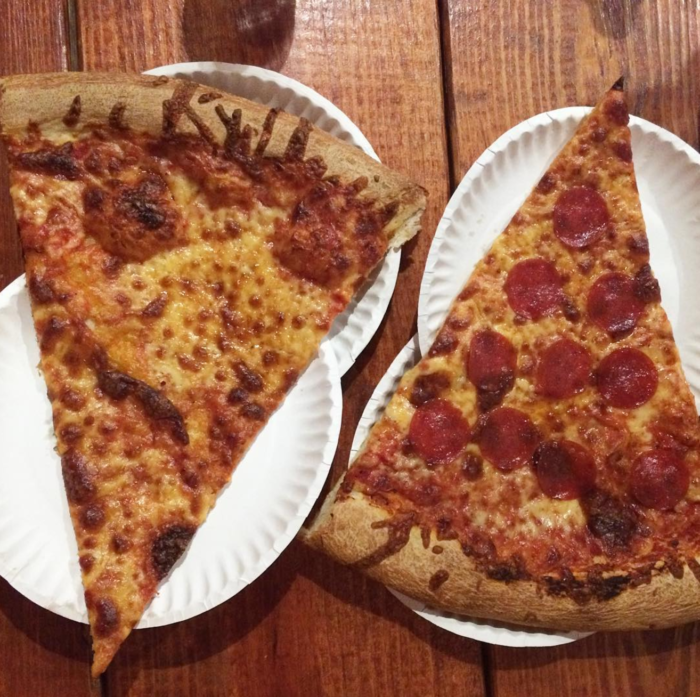 Details: If you can finish an 8-pound pizza in an hour, you win $500. 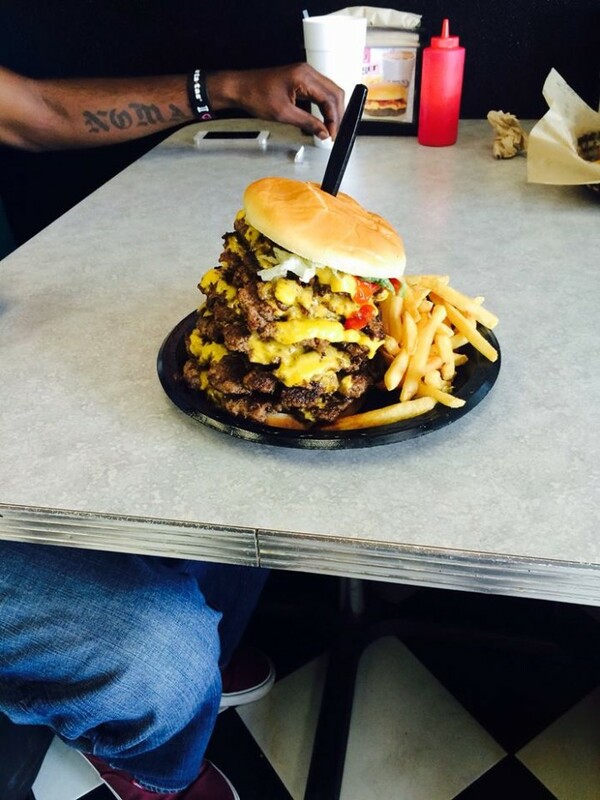 Details: If you can finish every bite of this 22-ounce burger, named after the owner’s grandkids (Mykelanne, Evangeline, Gianna and Addison), they’ll add your name to the wall of fame. 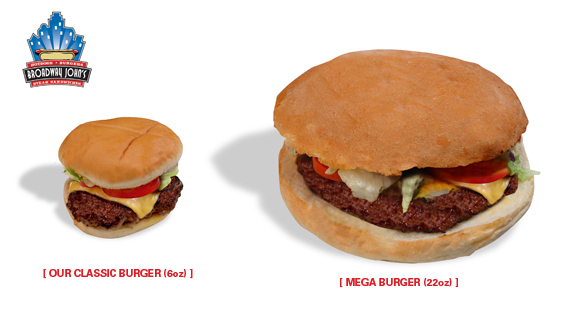 Love the size comparison they provide alongside their regular 6-ounce patty. 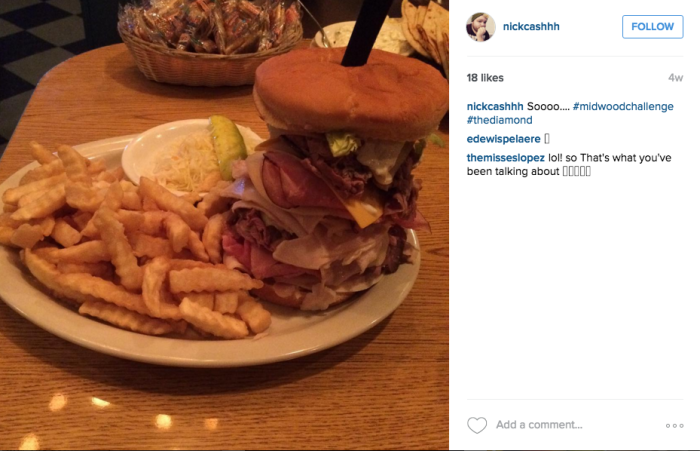 Details: You get 20 minutes to polish off this 40-ounce burger. Details: Two pounds of roast beef, ham, turkey, provolone, Swiss and American cheese on a giant bun with horsey-mayo. If you eat everything on your plate you get a Diamond t-shirt. 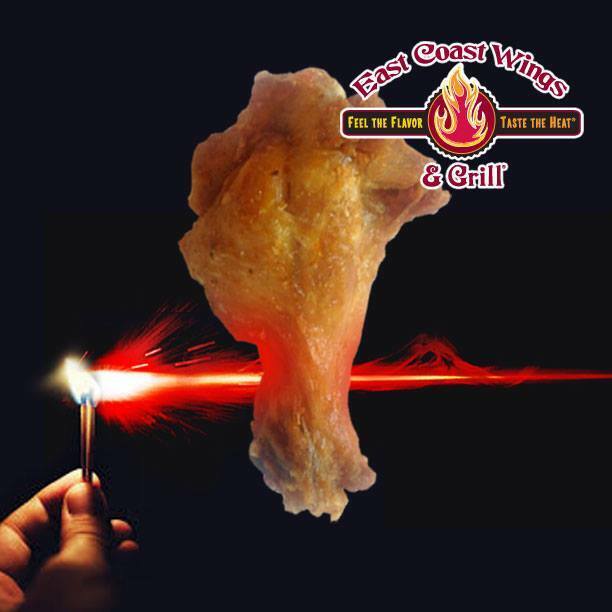 Details: You get 8 minutes to eat 4 drums doused in their brutally hot Insanity sauce. You have to sign a liability waiver, must be 18 or older and are required to wear gloves. If you survive, you get a t-shirt and your picture on the wall. 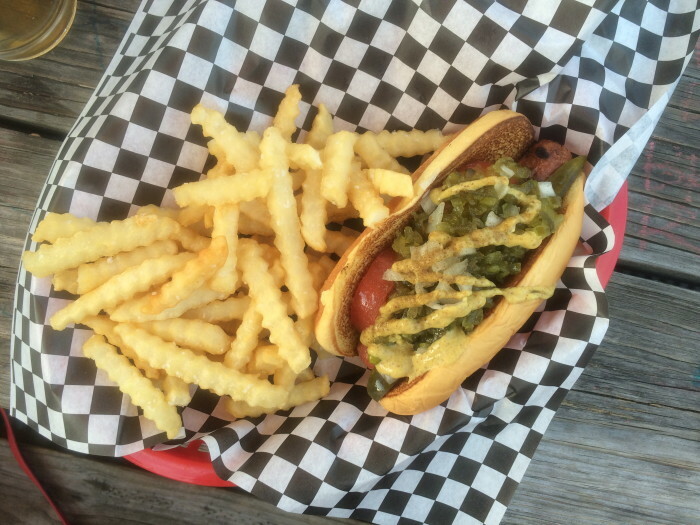 You can read a firsthand account on the “gastrointestinal assault” here (and this writer only ate one). Details: Put away 55 ounces of burger with at least 4 trimmings on the bun and your meal is free. If that doesn’t send you over the edge the required side of fries and 24-ounce drink will. 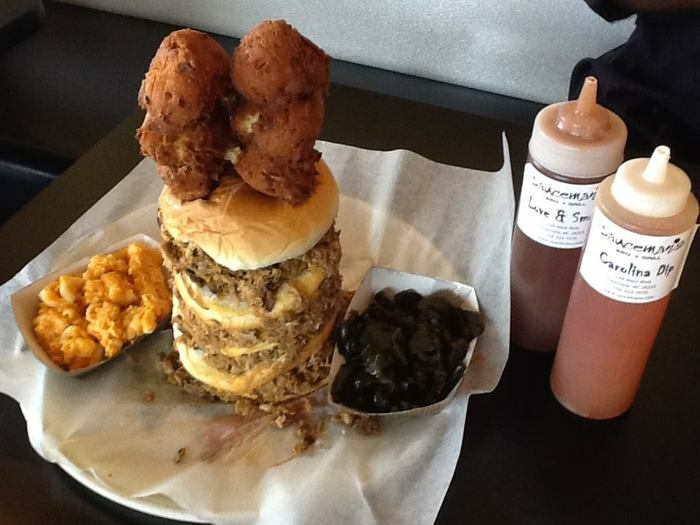 Details: It’s a plate piled high with four 6-ounce patties, 1 pound of fries (or tater tots), 1 pound of macaroni salad, Kennedy’s meat sauce and four slices of French bread. 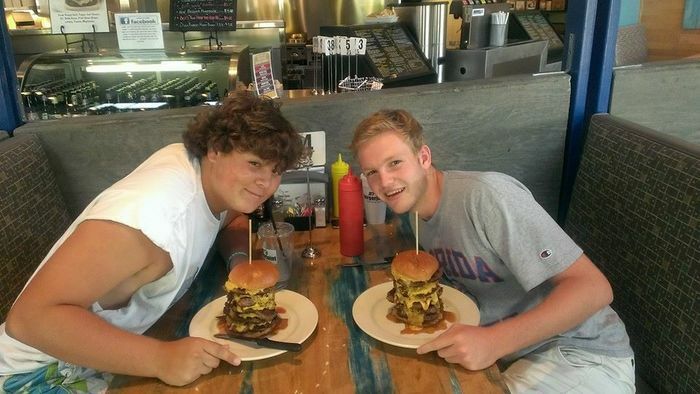 If you finish it in 45 minutes you get your meal comped and your photo on the wall of fame. 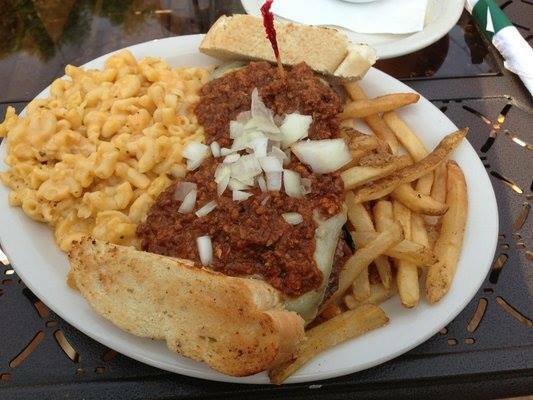 Note: This is a photo of the regular garbage plate, not the challenge plate. There’s at least twice as much food on the challenge plate. Details: This monstrosity is four patties (beef, turkey, veggie and meatloaf), cheese, bacon and toppings stacked between a bun with a grilled cheese in the middle just in case you thought the rest sounded a little too light. 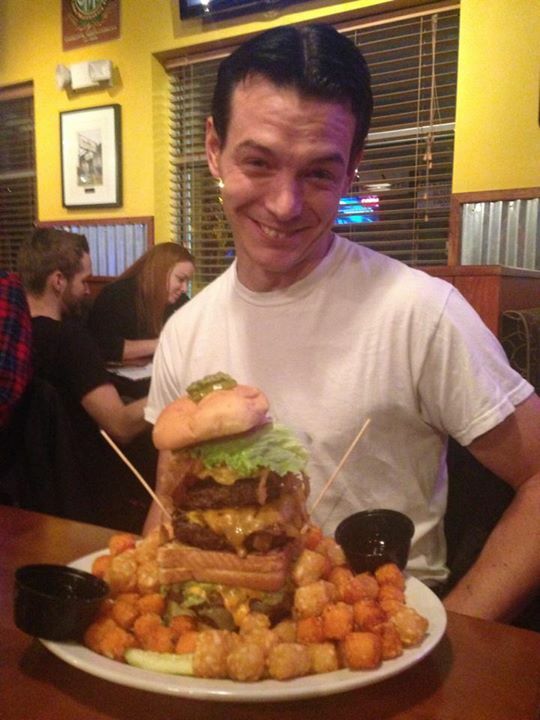 The challenge includes two sides of tater tots and you have 30 minutes to finish it all. Details: You have one hour to take down a 5-pound sandwich stuffed with pork, sausage, brisket, pimento cheese, queso, slaw, pickles, onion rings, bacon and Mac’s Burnout sauce. Oh, and one more thing… It comes with a 1/2 pound side of macaroni and cheese. GOOD LUCK. 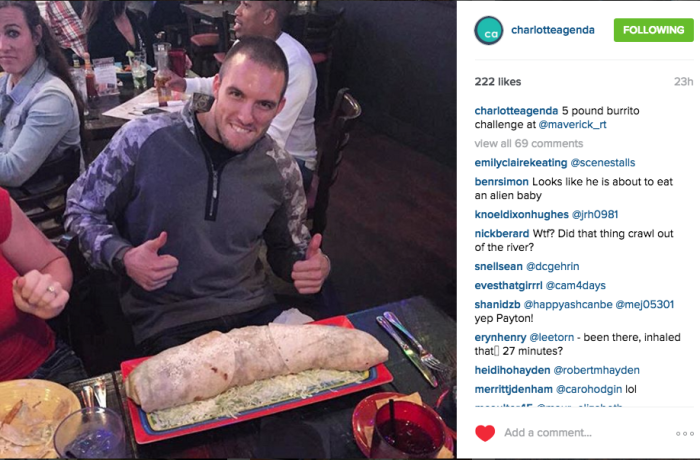 Details: You get 30 minutes to inhale a massive 5-pound burrito stuffed with rice, beans, lettuce and all the fixings. I witnessed this attempt and sadly Payton did not succeed. It’s no joke. 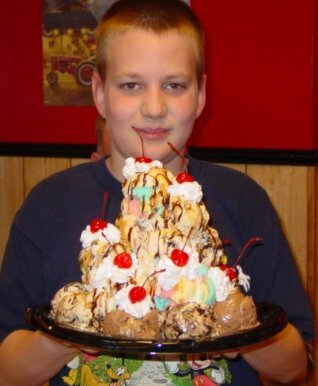 Details: This one isn’t in Charlotte (it’s just up the road in Stanley), but I’m giving it an honorable mention for the glorious wonder that is a 25-scoop ice cream sundae. 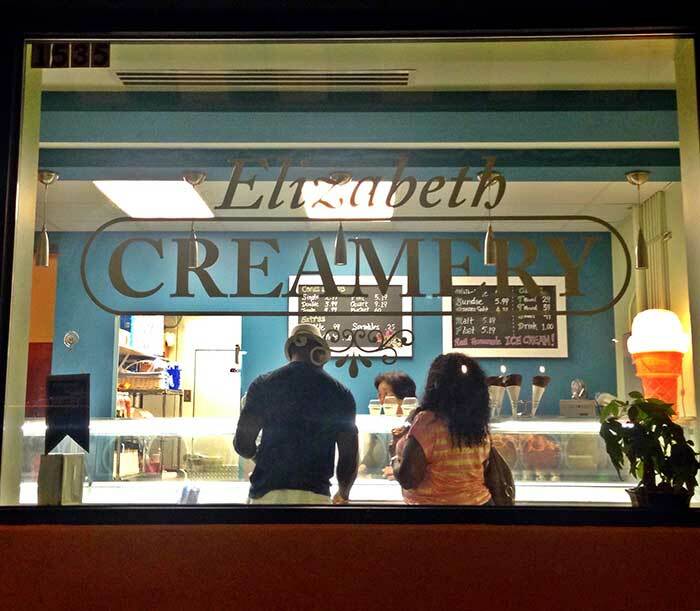 You get up to 8 flavors and five toppings along with whipped cream and cherries on top. You get a T-shirt if you can finish it in 30 minutes. Cue brain freeze. 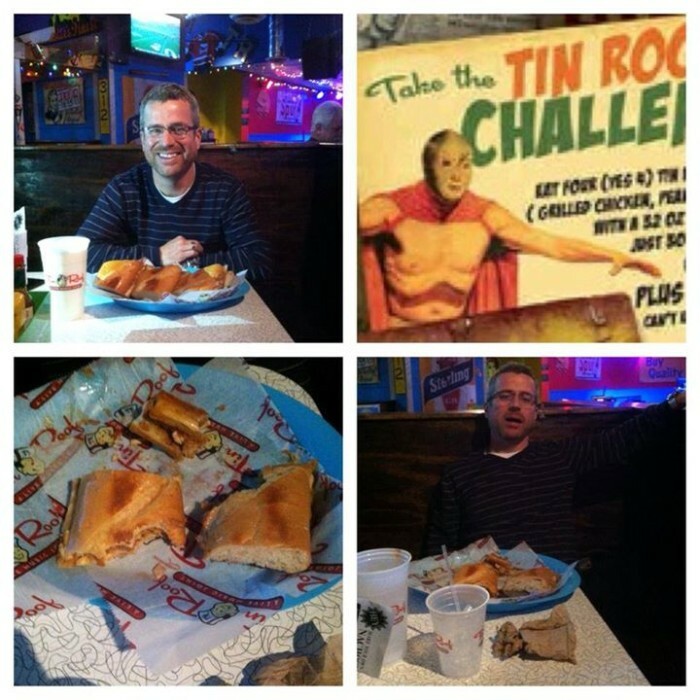 Details: If you can throw down 2.5 pounds of Queen City BBQ on a bun with slaw, hushpuppies and one side without throwing up, the meal is free and they’ll put your picture up on the wall. Details: You have to eat four peanut butter, honey and chicken sandwiches and 32 ounces of milk in 30 minutes or less. Sounds horrific. 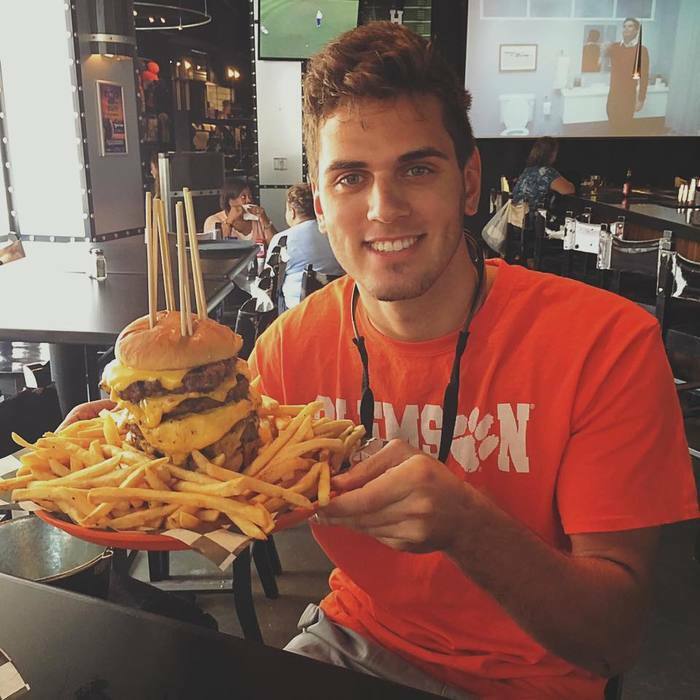 Details: If a bun stacked high with six beef patties and American cheese isn’t enough to slow you down, keep in mind you also have to finish a pound of fries with it. You get 30 minutes. I repeat: These are not real or endorsed by the Agenda but I think you should do them all.